PayPal on eBay today debuted the latest App Store and iTunes gift card sale, marking down the $100 iTunes gift card to just $85 for a limited time. As usual, you'll need a PayPal account to gain access to the sale, and the gift card will be valid only on purchases made in the United States. Note: MacRumors is an affiliate partner with eBay. When you click a link and make a purchase, we may receive a small payment, which helps us keep the site running. The gift card will be delivered via e-mail once you make your purchase, and it usually takes a few hours for the code to show up in your inbox. 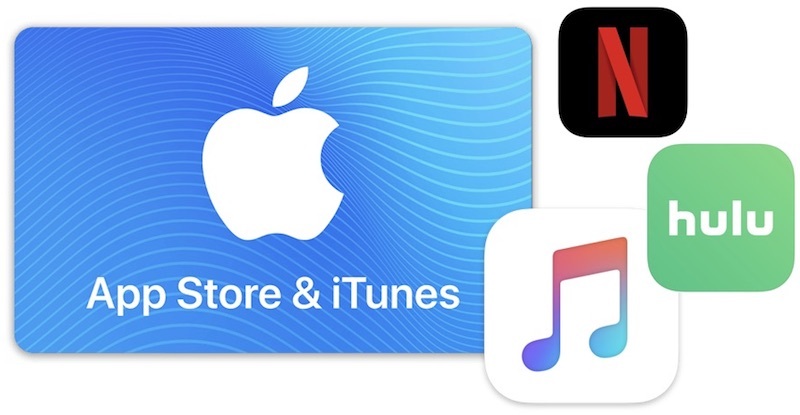 These sales have been less frequent in the post-holiday season, so this marks one of the first major discounts on iTunes gift cards of 2019. Anyone interested can head to PayPal's Digital Gifts eBay storefront and purchase the iTunes gift card (no code needed) while the sale lasts. Once you have the iTunes credit in your account, you can spend it on the iTunes Movies and TV store, iBooks store, your Apple Music subscription, a Netflix or Hulu subscription, iCloud, and much more. Be sure to check out our full Deals Roundup for more information on all of the big sales happening this week. I love these. They help me, and macrumors. Win win! I’m curious - what are most of people using these for? I can't speak for everyone, but I use the iTunes cards I get at a discount for Netflix, Hulu and iCloud subscriptions. Definitely helps out. Very nice, love these as well.